Welcome back to another edition of Now Streaming, our regular update of the latest animation (or occasionally animation related) added to Netflix. ARTHUR AND THE INVISIBLES: French director Luc Besson (Leon, The Fifth Element) takes a step into CG Family film territory, featuring the voices of David Bowie, Madonna and Snoop Dogg. ASTERIX: MANSION OF THE GODS The first ever CG animation featuring the iconic French comic book character which sees the plucky Gaul continue his fight with the Roman Empire. BLACK LAGOON: Action-packed anime featuring a normal Japanese salaryman who ends up joining the crew of the titular ship of modern pirates. Check out our review here. BLACK LAGOON: ROBERTA'S BLOOD TRAIL: Sequel OAV series to the action anime. HOME: ADVENTURES WITH TIP & OH The third season of the DreamWorks Animation spin-off from their hit movie arrives. JUSTICE LEAGUE DARK: TV's Constantine Matt Ryan reprises his role in the latest DC animated movie featuring the more magical characters from the DC Universe teaming up with Batman to take down a supernatural threat. AVAILABILITY: Australia and New Zealand. MAGI: THE LABYRINTH OF MAGIC Anime fantasy series inspired by Arabian Nights, featuring Aladdin and Alibaba among the cast. 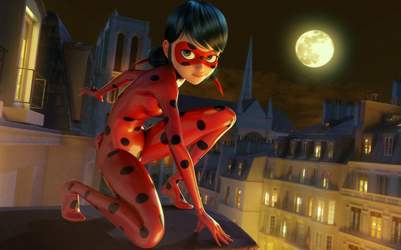 MIRACULOUS: TALES OF LADYBUG AND CAT NOIR The debut season of Thomas Astruc's popular spin on the magical girl genre. SHEEP & WOLVES Russian-made CG family flick. AVAILABILITY: Australia & New Zealand. SING : Illumination Entertainment's Musical comedy from Director Garth Jennings. You can read our review here. 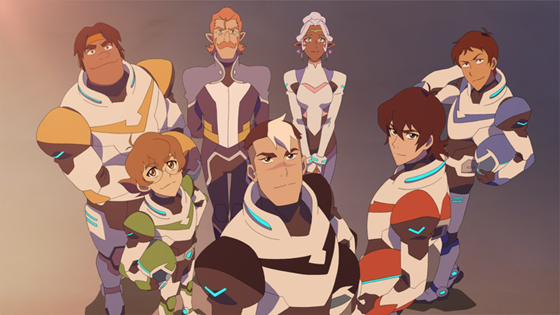 VOLTRON LEGENDARY DEFENDER [Season 3] New episodes for DWA's smash-hit update of the 80s mecha anime classic.